85 days. (Indeterminate) [Pre-1890 TN heirloom, reportedly of Cherokee Indian origin. Introduced 1993 by SESE. Seed courtesy Craig LeHoullier.] Large, smooth fruits (10-12 oz) with slightly ridged shoulders. Ripens to a unique dark, dusky pink/purple. 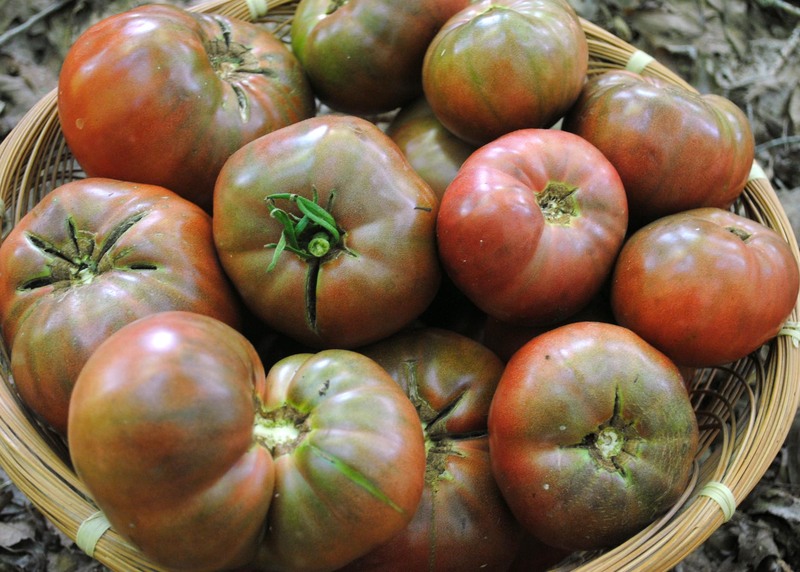 Sometimes called a black tomato, the color carries through to the flesh, especially at the stem end. Good resistance to Septoria leaf spot. A shorter indeterminate, plants average 5 ft. tall. ‘Cherokee Purple’ has spread widely since its introduction, with variations developing over time, but our strain is still the original, shorter shape. Pkt.